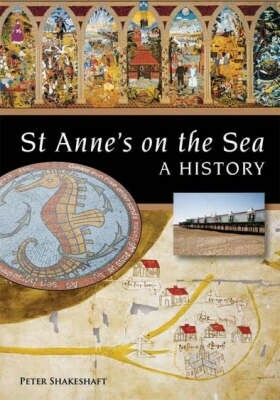 St Anne's on the Sea did not exist until the 1870s. When a new railway connection between Lytham and Blackpool was opened, the land-owning Clifton family hit upon the idea of persuading the railway company to build an intermediate station on the line. A new church - dedicated to St Anne - was built, and a Land and Building Company set up. Parcels of land were leased, and the new town was born. St Anne's was a Victorian new town, its genteel character a product of deliberate planning. With the booming, bustling working-class seaside resort of Blackpool just a few miles up the coast, the developers of St Anne's were determined to cater for a slightly higher social class.Wander around the town today and you can easily discern tell-tale signs of the original town foundation: broad avenues, the relatively uniform middle-class villas, and the regular street pattern. What you cannot so easily discern is the previous history of the region, and this is where Peter Shakeshaft's book differs from most. He takes the reader back to the earliest references to the rural settlements of Heyhouses and Kilgrimol. Part I of this important new book deals exclusively with the history of the area before the establishment of the Victorian new town. Part II looks in detail at the first 130 years of St Anne's history: foundation, local government, disputes, even a proposed amalgamation with Blackpool. The book is beautifully illustrated, with many old and new photographs reproduced in full colour. Peter Shakeshaft was born in St Anne's in 1942, the town where his parents had come to live in the early 1920s. In 1958 he went to live at Freckleton, but in 1967 returned to St Anne's, where he still resides with his wife Maureen. He was educated at King Edward VII School, Lytham, and after leaving school he worked for the Department for National Savings for thirty-seven years.He has had a lifelong interest in history and following early retirement in 1995 began to research the history of Freckleton. His book, The History of Freckleton was published by Carnegie Publishing in 2001, and also featured on the BBC local history website. In the same year he began his research into the history of the Heyhouses farming community, and the rise and progress of the modern town of St Anne's on the Sea.